Of course it’s because they send me free stuff. But because you are here reading this, you also get some inside information on how you can Win. Big. Prizes. The first 50 videos submitted to the ShareYourVille contest, AUTOMATICALLY receive coupons for FREE Johnsonville products! This information hasn’t been widely released, so there is a good chance that your readers could pick up a prize. Each code word is equal to 5 extra entries into the “GRILLVILLE” sweepstakes to win $2,500 CASH just for playing the game! 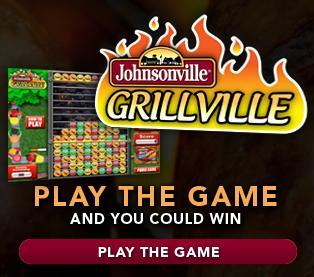 Visit www.ShareYourVille.com, and enter the secret code into the GRILLVILLE game under the bonus entries tab! Eventually Johnsville will give me more secret words and I will pass them along. In the meantime, I will dress up in all my Johnsonville finest with my Johnsonville gear and throw some Johnsonville brats in the hot tub and share a pic.